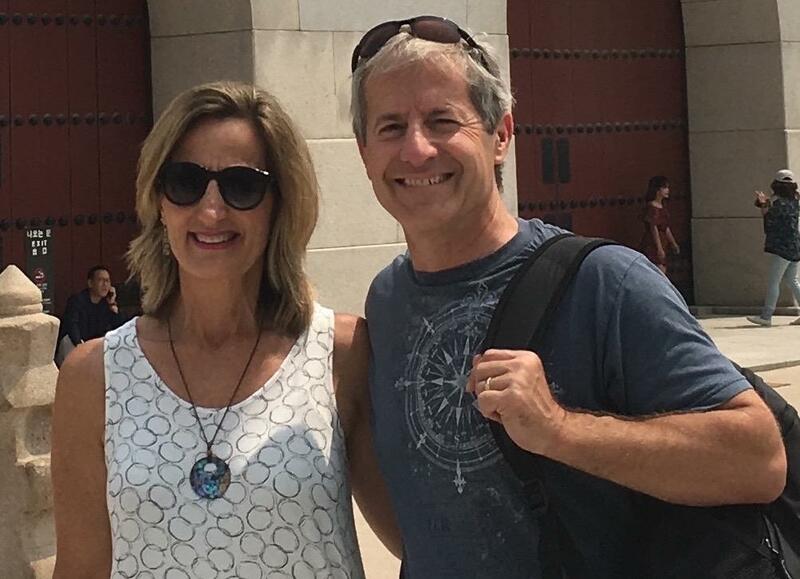 I was fascinated by the history of King Sejong during our trip to Korea. Ruler of Korea from 1418 to 1450, he used the power of the pen to benefit the people of Joseon, or ancient Korea. And he serendipitously continued a trend started in Europe in the late middle ages. In 1320 Dante Alighieri, perhaps the greatest Italian poet, published the Divina Commedia in the Florentine dialect, the language of the common person. This caused consternation amongst the intellectual elite who conducted their academic studies completely in Latin. Geoffrey Chaucer, influenced by a trip to Italy that brought him into contact with great Italian Renaissance literature, added to this trend by writing Canterbury Tales in Middle English during the later years of his life with the uncompleted work published after his death in 1400. Middle English was the language of the peasant. The scholars of England mostly wrote in French. Both Dante and Chaucer purposely wrote in the language of the common man instead of the educated languages of Latin and French. The result of these decisions raised the prestige of the common language. It also encouraged literacy among common people. In both instances, the common people became more literate and society reaped the benefit. Having a great work of literature in the vulgate (language of the commoner) forced even the learned scholars to do work in the colloquial language. They had to use it even to interpret and comment on the masterwork. This leveled people in a new and profound way. In Korea, King Sejong created a new writing system called Hangul. It uses a simple writing system the common man could easily learn, replacing hermetic labyrinth of the scholarly Chinese characters of the time. “My people cannot write characters even though they have hands, and can’t read characters even though they have eyes. 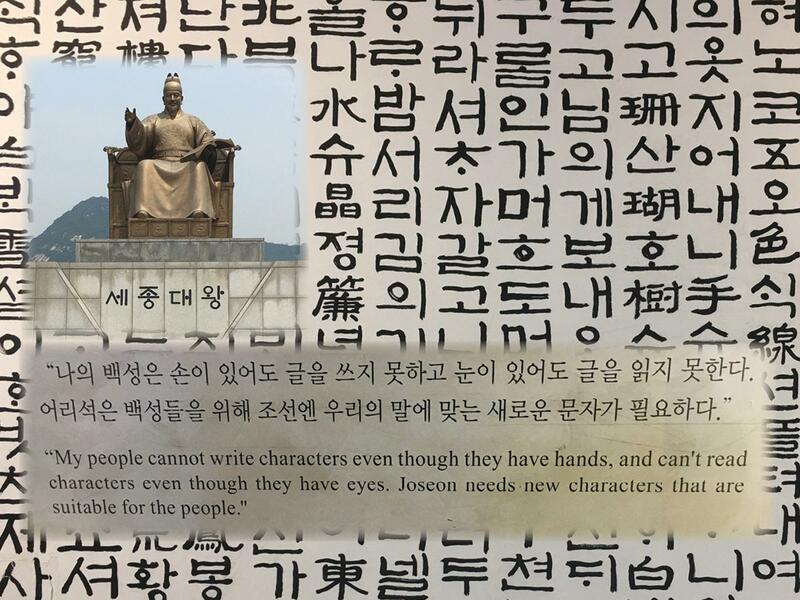 Joseon [Korea] needs characters that are suitable for the people.” – Kim Sejong, 1446 A.D.
Then he caused his reluctant scholars to collaborate with him to compile the Yongbieocheonga (Songs of the Dragons Flying to Heaven), published in 1447, that became a famous work of literature. This work discusses Korean history, the apotheosis of virtuous kings, and a variety of Confucian philosophical and ethical ideas. Once again, the great work of literature written in the vulgate led to greater literacy and a society that flourished. So why were scholars so against Dante and Chaucer publishing works in the common tongue? And why did Korean scholars protest the development of Hangul? Perhaps it’s a question of power. When one person has the ability to read when another can’t, it gives them power over those who are able. The illiterate look to the literate not only to read for them, but also to interpret what is read. When all people, even the lowly peasant, learn how to read, it gives independence from the scholar and shifts power to the commoner. This raises society as a whole, and all benefit. Giving individuals the power to learn, whether through literacy programs or other opportunities for education, ends up leading to the growth and flowering of society in general. What do you think are some key ways to increase literacy around the world?